We're delighted you've considered us! 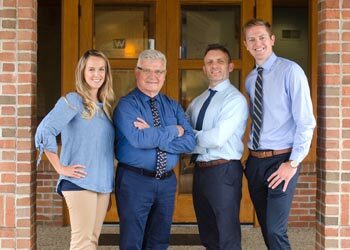 Dr. Gary Armbrecht, Dr. David Armbrecht, and Dr. Mark Wierenga are honored to be considered for your orthodontic needs. We know you have many options when it comes to your orthodontic treatment or the treatment of your family members. Over the last 40 years, we have developed a reputation in the community for providing the highest quality orthodontic care for children and adults in a warm, friendly and comfortable environment. Many of our patients are children of previous patients who return looking for the same quality results they had when they were younger. Click Here to read some reviews of our practice! We think there are a number of ways we set ourselves apart and we'd love to show you. Contact us today to schedule your complimentary consultation.